Key tags are a genius promotional item for one simple reason: we're all always losing our keys! We've all been fishing in our bags, purses, wallets, or pockets for that miscellaneous key, only to realize it must have slipped out on the trek to our home, office, storage unit, et cetera. Here's where the wonder of promotional marketing products comes in - you can be the people who keep all those highly important keys in one safe and secure bunch! Whether you call them key fobs, key chains, key rings, or key holders, IASpromotes.com has the promotional item you're searching for. 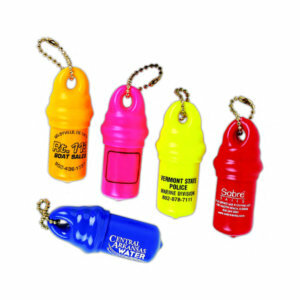 In fact, IASpromotes.com boasts the ultimate selection of promotional key tags online. 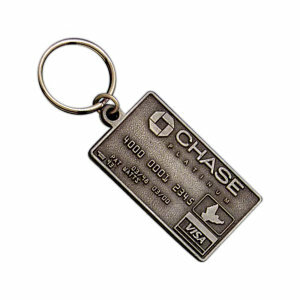 Print, screen, engrave, consecutive number, coupon or sublimate your logo onto our custom key tags. 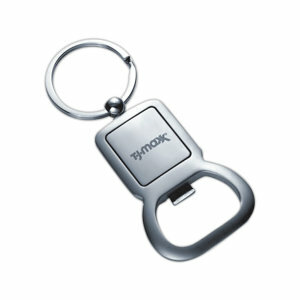 Custom promotional key tags are a proven and timeless promotional item with unlimited ways in which you can personalize. Funny how much of an impact the substrate of your custom logoed products can have. 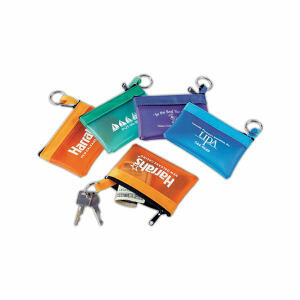 There isn't a personalized promotional product out there for which the material it is made out of makes more of an impact that with key tags. The difference between leather, vinyl, plastic, wood, and metal is immense. No, one is not better than another, but they all speak differently about your corporate branding objectives. Leather says professional, chic. Vinyl says playful. Plastic says conventional and low-maintenance. Metal says heavy-duty and seriously in-charge. And wooden says unique and innovative. So whatever your promotional desires are, IASpromotes.com can help you achieve your corporate strategy with a specialty key tag. 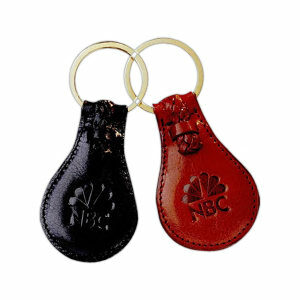 Now days, custom printed specialty key chains are often times more than just a strap to hold your keys. 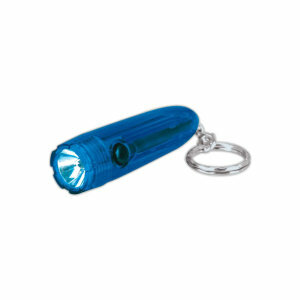 Many promo key tags act simultaneously as pouches, bottle openers, stress balls, carabineers, and flashlights. 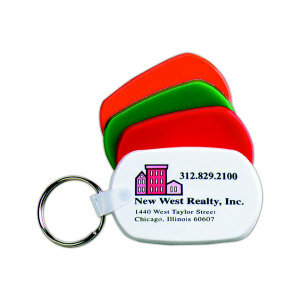 Many of your clients may look specifically for a multi-functional key tag. 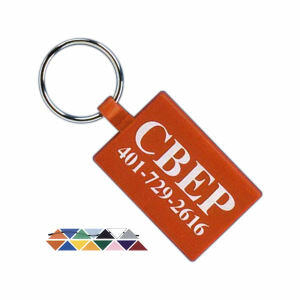 Don't miss out on the chance for your logo to clasp their keys - choose a custom printed, engraved, or screened promotional key tag that serves more than one purpose! 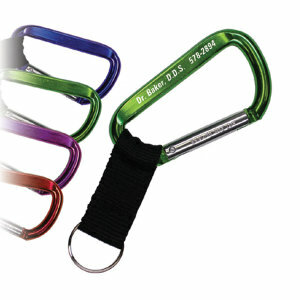 IASpromotes.com also offers personalized key fobs that can act as punch cards to increase customer loyalty. 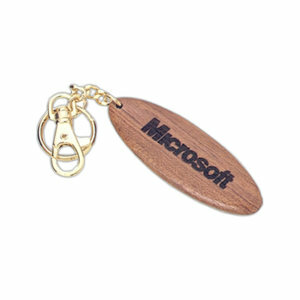 Also, eco-friendly key chains are an environmentally smart choice to increase your brand awareness while simultaneously serving both your customers and this earth. Many clients these days simply expect companies to make the green choice when purchasing their promotional specialty advertisement merchandise. If this is the case, IASpromotes.com has just the promotional products you're looking for. Never hesitate to live chat, call, or email one of our promo professionals if you have any questions, would like a quote, or don't see exactly what you are looking for. We'll solve all your promotional quandaries. Now, if we could just find your keys for you!